Welcome to our group of qigong and circle walking practitioners. Our class is located at a local community center. We enjoy the benefits of practicing indoors yet in the center of a lovely rural setting next to a natural laguna wetlands. This class performs Chinese energy exercises, known as Qigong, which practices specific exercises according to the seasons of the year. Qigong works to enhance physical fitness, both externally and internally through the cultivation of Qi-Universal Healing Energy. Classes include a variety of exercises, from simple individual movements to walking in circles holding various postures. 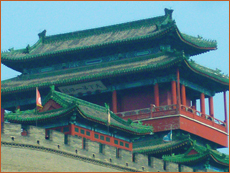 The theory of Chinese Medicine of the Five Elements provides the underlying principles of qigong. Qigong is beneficial for people of all ages, and all health conditions. Classes are on-going and new students can join us at any time. Register with the teacher in class. Sebastopol Community Cultural Center, Annex Bldg. Sebastopol, CA. Saturday’s 10:30-11:30 am, and Wednesday’s 10 -11 am. All classes are drop-in $10. The Qigong classes are held at the Annex building (425 Morris St.), next to the main building of the Sebastopol Community Cultural Center. Taichi Ruler, Swimming Dragon, Master Wan Sujian’s Tonifying Three Dantians, Pre-Heaven Taichi Ruler, Dragon Chases The Pearl, Bear and Crane Frolics, Healing Sounds, Push-Pull, Gathering Starlight Energy, Compassionate Buddha Qigong, Wuji Palms Facing Heaven, Rolling The Ball, Primordial Wuji Qigong Meditation, and more. One of Michael’s favorite qigong forms is Qigong Circle Walking. Popularly practiced as a martial arts form (ba gua chang), qigong circle walking is more therapeutic and meditative than its martial cousin. 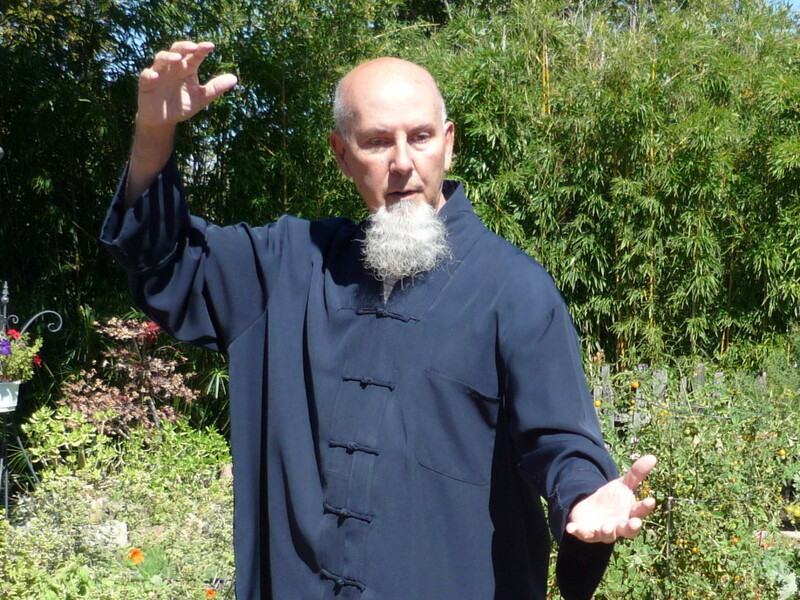 are welcome to Michael’s on-going qigong classes at the Sebastopol Community Cultural Center. 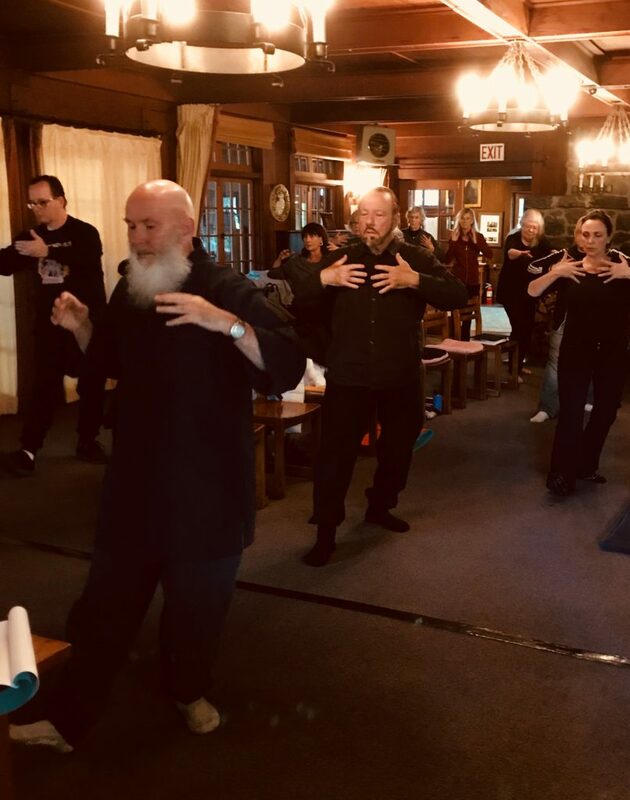 He has been teaching qigong there for the past 20 years, and has a faithful following of regular students who attend these weekly classes plus also attend his day-long mini retreats and his annual weekend intensive retreats in the Spring.